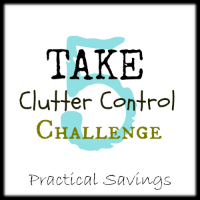 We’re getting there… so far Day 1, Day 2, Day 3, Day 4, Day 5 and Day 6 of the Take 5 Clutter Control Challenge are complete! Are you ready for Day 7? Ready, set… MASTER BEDROOM (or bedroom #3)!